On December 2nd, ATF national headquarters building in Washington, D.C., will officially carry the name of Special Agent Ariel Rios. 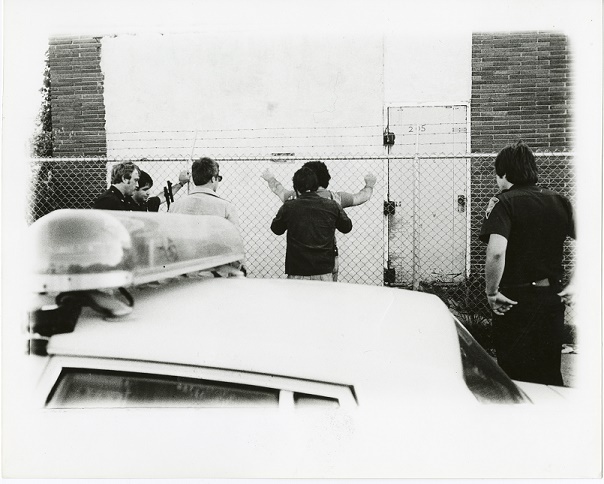 Rios was killed in the line of duty the same day a little more than three decades ago. 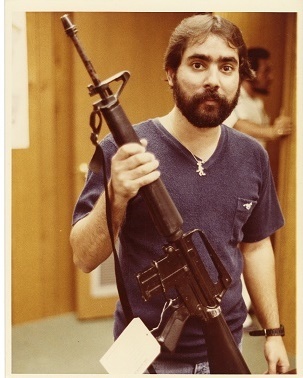 On Dec. 2, 1982, Rios and his partner Special Agent Alex D’Atri were negotiating a large cocaine deal, known as an undercover buy and bust operation, from drug traffickers at the Hurricane Motel in Little Havana on West Flagler Street in Central Miami. 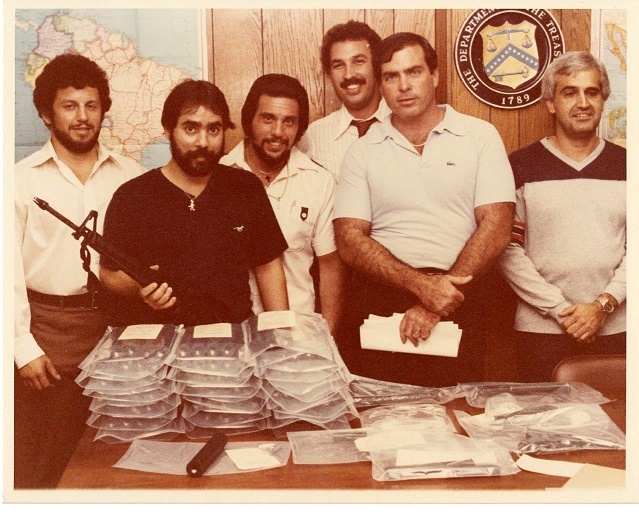 Special Agent Rios was a member of the Vice President’s Task Force on South Florida Crime during the early-1980s at a time when the cocaine cowboys ran Miami and South Florida. Miami was known as the murder capital of the country, and its citizens lived day-to-day in fear of the violence. Headed by Vice President George Bush, the task force was made up of agents from ATF, DEA, U.S. Marshals, U.S. Customs, FBI, IRS, U.S. Coast Guard, U.S. Army, U.S. Navy and National intelligence assets, to mobilize against drug traffickers who were moving tons of cocaine into the United States from Columbia. According to court testimony, Rios and D’Atri showed up at the Hurricane to meet with the suspects. One of the suspects, standing near a window, noticed federal agents, who were part of the surveillance team, moving into the area. The suspect pulled a gun to shoot at the agents. As Rios struggled with the suspect trying to disarm him, he was shot in the face and died on the scene. Rios’s partner, D’Atri, was shot four times, and died several times on the operating table, but pulled through. Both Rios and D’Atri were experienced undercover agents with extensive background investigating firearms and narcotics violations. As with anything else though, sometimes no matter what, things just go the wrong way. This story is not new. Police officers and federal agents are taking these life and death risks every day in this country during these types of undercover operations. They risk their lives doing a job most of us would not want to do or would be too afraid to do. Rios was 27 years old when he signed on to the task force and left Connecticut for Florida. He was 28 years old when he was killed. He left behind his young family, a wife, son and daughter.